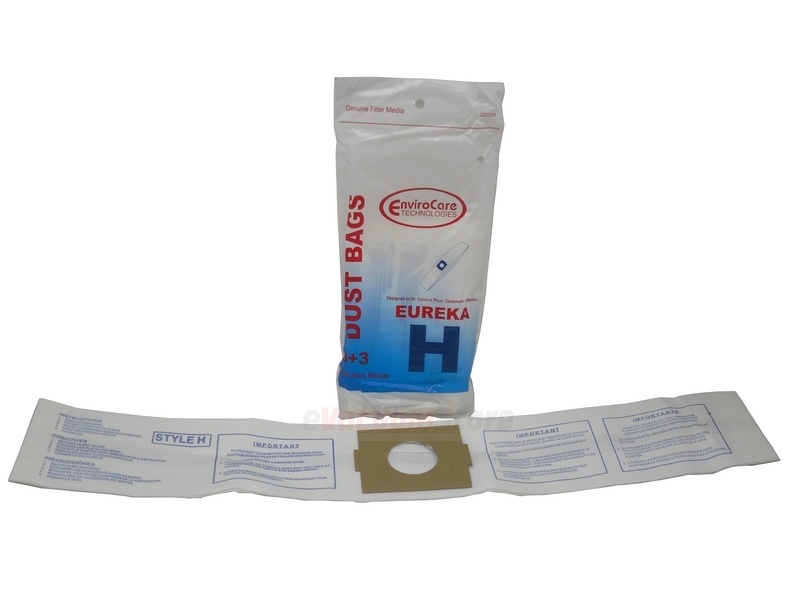 Eureka Style H Vacuum Cleaner Bags Fit: 500, 550, 600, 700, 1240, 1250, 3200-3400 Series. These bags are compatible with with the Eureka roto matic. If you're looking for a high functioning bag, then you've come to the right place. The Style H vacuum bags are made to high standards to ensure you a stress-free cleaning every time. The generic bags use a simple paper design to help you easily install and remove hassle-free. The genuine bags are known for their high performance. Between their strong clothlike material and their odor-eliminating lining, the genuine Style H bags are guaranteed to give you a strong clean. They also come with a motor filter, so you'll always remember to replace them. If you require further assistance, feel free to contact eVacuumStore.com at (866) 972-8227.